The BCIT Business Administration diploma is ideal for students seeking choice and flexibility when it comes to starting or advancing their career. Complete your diploma at your own pace by attending evening or weekend classes at BCIT’s Burnaby or downtown Vancouver campuses, or studying as an online learner. Part-time courses are scheduled throughout the year for maximum flexibility. Successful business people communicate well and understand how organizations work. They know how to assess business problems and develop workable and effective solutions. They understand how marketing, finance, and organizational behaviour impact business strategy and success. This program is offered for students who wish or need to obtain a Business Administration Diploma (Human Resources) by completing courses on a part-time studies basis. It enables you to pursue lifelong learning while maintaining daytime employment or other activities, by attending evening or weekend classes or studying as an online learner. Students can also take a less intense course workload than the regular, full-time program. This program is a logical next step for students interested in a HR oriented career who have completed a Human Resource Management certificate. Courses you have completed to obtain a certificate that are also included in the program matrix, count toward this program and do not have to be repeated. 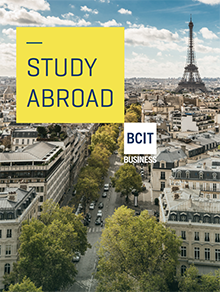 In this program you will experience BCIT’s unique blend of academic learning and applied skills. Successful students develop a solid understanding of core business concepts including effective hiring and retention practices, developing compensation programs, dealing with workplace conflicts, planning staffing levels, employment law, computer skills, business communications, economics, business math, and accounting practices. Do you already have a degree? Learn how to get direct entry into this program. BCIT may award credit for courses, programs or prior learning assessment recognition (PLAR) completed at BCIT or other institutions towards a BCIT credential. However, BCIT policy allows only a maximum of 50 percent of an additional credential’s credits to be awarded through previously earned credits. If you have taken an equivalent course to a BCIT course in the program matrix, apply for transfer credit by submitting a Course Credit Exemption form [PDF]. This communication course teaches the business writing skills needed to produce effective business and technical reports: inspection, trip, incident, and progress reports, proposals, feasibility studies, formal reports, oral reports, summaries and graphics. NOTE: Students scoring below "C+" in level 1 COMM are required to take COMM 2003 instead of COMM 2203. To make up for a full-time diploma program level 2 COMM course, students must take both COMM 2202 (or COMM 2002) and COMM 2203 (or COMM 2003). If you have BCIT full-time diploma program level 1 COMM course credit, email cecomm@bcit.ca to apply for approval to register. Prerequisite: Students must have one of the following: 1) a final grade of 70% or better in BCIT level 1 COMM (ie: COMM 1100 or COMM 1103 or COMM 1106 or COMM 1120; or 2) a score of 70 or better in COMM 0015; or 3) an OFFICIAL transfer credit granted for BCIT level 1 or level 2 COMM course with a final grade of 70% or better (refer to http://www.bcit.ca/admission/transfer/). Complete a minimum of 12.0 credits of additional business and/or non-business electives. The Human Resources Option is made up of four components: core courses, human resources required courses, human resources electives and open electives. Each component requires Tier 1, Tier 2 and/or Capstone credits as outlined below. This program stretches your capacity to learn, develops your time management skills, all the while providing you with the opportunity to learn about the many facets of human resource management. Employers recognize the strength our alumni bring to the workplace! The career track of graduates is aimed at entrance, at a professional/technical level, into either a generalist or specialist human resource management position. Some graduates also find employment in operational units which place a heavy emphasis on team management and project development activities. More experienced graduates also have an opportunity to pursue human resource consulting activities. You will graduate with increased self-confidence and friends for life! Contact program_advising@bcit.ca with the BCIT program name in the subject line.